Thank you to all our students, families, and friends for your continued support! Adult students at Leading Edge Martial Arts study a curriculum of Non Competition Based Mixed Martial Arts. The instructors have put together a well rounded, hybrid style of martial arts which pulls highlights from many different systems teaching students a pratical Self Defense oriented system while keep some traditional martial arts elements. At LEMA, our goal in our children's program is to instill Self Confidence, Self Discipline, and a Non-Quitting Spirit while teaching them practical Self Defense in a fun, positive environment. In our Non-Competition Based program, children thrive free of the pressures of competing with theirs peers while focusing primarily on being the best that they can be. Five - 5 minute rounds switching excercises every 45 seconds. 1. Receive tips on how to avoid being a target and potential victim. 2. Learn how to deal with a situation once it has presented itself. 4. Learn hands on self defense moves when grabbed by an attacker. 5. Have the opportunity to practice all these skills on volunteers from Leading Edge Martial Arts. 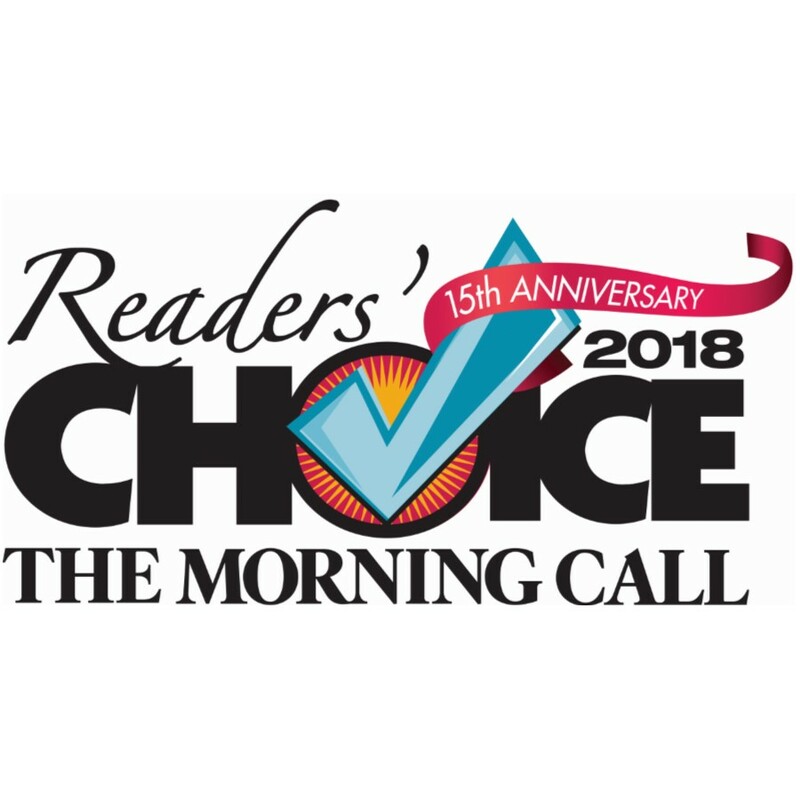 Voted Best Martial Arts School in the Lehigh Valley 10 Years in a row! Leading Edge Martial Arts has been voted the Best Martial Arts School in the Lehigh Valley for ten years in a row. Our professional instructors pride themselves on providing our students with a best possible experience on every visit. 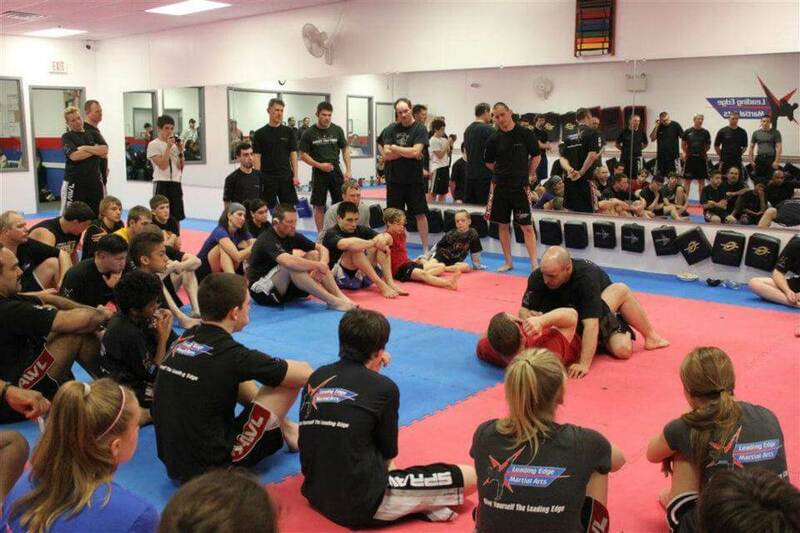 We offer non-competition based mixed martial arts for Men, Women, and Children. 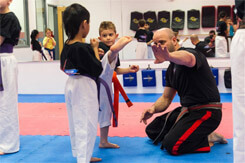 In our children’s program, our focus is on Self-Confidence, Self-Discipline, and Self-Defense. In our adult program, the focus shifts to Self Defense, Fitness, and Stress Relief. LEMA incorporates principles and concepts from many different styles of martial arts in order to develop a practical and applicable approach to every day self-defense including stand up arts such as karate and kickboxing, and grappling arts such as judo and jiujitsu, LEMA’s curriculum continues to evolve as new concepts become available. The Cage Fitness program at LEMA is a ½ hour, high intensity, interval training program. It is the best ½ hour workout that can be found in the Lehigh Valley. In just 30 minutes, our LEMA instructors will have you dripping in sweat and beaming with exhilaration. Classes are available for Men, Women, and Children. "I love training at LEMA becuase I'm not confined to a particular style of martial arts. We can do Tae Kwon Do one day and Grappling another." "Sensei Rob and all the Deshis work with the children in a group but throught the class, go around and help the child as an individual." "Lema is my home away from home. They offer fantastic classes for babies, children and adults. There staff is incredible. I have been taking cage fitness classes there for 3 years and started mma training a little over a year ago. I absolutely LOVE it there!" "Amazing staff!! My son has been taking classes for more than 2 years and continues to be motivated. He has gained confidence and self discipline, as well as made some great friends! The adult cage fitness classes are also wonderful...amazing instructors!! LEMA is not only invested in their students, but in the community as well...they are always willing to support local organizations and schools." "Leading Edge Martial Arts is an amazing school. Both of my boys have trained there for several years and it has helped them grow into very strong, disciplined, confident people. I would HIGHLY recommend LEMA to anyone looking for a martial arts school. Great staff, clean enviroment, all around great school!" "Been training here for 11 years now and has been considered my second home since. Employees and instructors are great and are willing to do anything for anyone. I wouldn't be who I am today if it weren't for LEMA. I love you guys, you'll always be a part of my heart!" "Sensei Joe Kortbawi and the staff at Leading Edge Martial Arts - Bethlehem are amazing! My son has been taking Martial Arts with Sensei Joe for two years and has developed skills and respect for those skills that will last him a lifetime. In addition to the Martial Arts program, the Cage Fitness program has assisted me in loosing weight and acheiving a healthier lifestyle. The Leading Edge commitment goes beyond the mat.They are very dedicated to their communities and help out many charities as well including breast cancer awareness, MDA and children's cancer." "My kids absolutely love taking karate classes and doing Kids Cage Fitness at LEMA.Instructors are knowledgeable and friendly. One of the best MA schools in the area." My son really enjoyed Leading Edge. He had a number of friends that studied martial arts at different schools around the lehigh valley, but none of them enjoyed it as much a my son. Sensei Rob has mastered the technique of teaching the kids martial arts while still ensuring that they are having a blast. My son actually asked to go to extra classes he liked it so much. Plus I liked the fact that I never got pressured into signing any contracts. Great overall experience, staff, and facility. He truly cares about the kids he teaches. My son has been a student at Leading Edge for over 2 years and he Loves it! Leading Edge Martial Arts has a fun, friendly and informative class environment for my son. Sensei Rob and his staff are extremely personable & knowledgeable. At Leading Edge there is a sense of community, discipline, and family values. LEMA is the best martial arts school in the Lehigh Valley! I would highly recommend them and I cannot imagine my son training anywhere else! Leading Edge Martial Arts has been a great experience for my son, he really enjoys going to the school twice a week. The staff at LEMA is awesome they really help my son build his confidence and strengths. Sensei Rob is a fantastic teacher has the patients to work with all the kids, no matter the age. We are so glad that we found LEMA and the staff that comes with it!! GREAT people, GREAT place!!! We love Leading Edge Martial Arts-Allentown!It is the best thing that has happened to our kids and one of the best decisions we could have made for them. We researched/visited several different martial arts schools and from the first time we went to LEMA our kids loved the staff and the classes. Our son was very shy and kept to himself and our daughter was the complete opposite! LEMA not only teaches them self defense and discipline, but also core values that we all would want our kids to have. They have both benefitted and improved by going to LEMA. Our son is now more outgoing and both kids are much more disciplined. Sensei Rob and the entire staff not only care about their students, they care about their families as well. Great facility, awesome staff and flexible schedule. Over two years ago, I started taking cage fitness classes at Leading Edge Martial Arts. I remember thinking at the end of my first class that this was the hardest I had ever physically worked my body in 30 minutes of time. I remember the instructors taking their time with me. I remember them “meeting me where I was at” vs. treating me just like every other experienced student. Each of these instructors, and others along the way, believed in me and saw what I needed to get better and to get stronger. And so the journey continued and has led me to today. I still love Cage and I have also loved adding kickboxing and LEMA fit into my schedule. Great staff make LEMA a 5 out of 5! I was impressed, right away, with my granddaughter's first lesson. She had trained at another martial arts school, in a different form. I liked them but had some concerns on class size and age levels mixed, also in keeping an eye on all of the kids. I've been teaching dance for over 40 years and have high expectations of how a class should be run, and how kids are handled. LEMA had a good handle on keeping the kids in line, making sure that they all worked hard, and had corrections, but the kids came out happy. That is HOW you teach!!! Good job! I am glad that she is with LEMA now. Thanks. Wouldn't have my daughter taught any other place. Sensei Rob and his staff are great at what they do and they keep the kids, as well as the parents, interested and involved in everything they do. Great staff. Easy to see how much they care about the kids! It's a great place loved the self defense class very helpful and fun. Awesome instructors and a great a great place to get in shape. The atmosphere is very welcoming and sensei Joe can make a believer out of anyone!!! I would recommend leading edge martial arts to anyone who is serious about training hard!!! I have my 4 kids at LEMA and they love it. They learn the skills necessary to lead a responsible life! They enjoy going to class and being a part of such a great culture! -Thanks LEMA!! An amazing place with great instructors. You can tell they really enjoy working with kids. Our daughter LOVES coming to class. Thank you LEMA team for providing such a positive place. Our 4 year old son has really enjoyed LEMA and so have we. The staff is great!! They are very encouraging. It is easy to see the positive influence and excitement on our son's face after every class. He is glowing with confidence while still learning discipline and values. I love cage fitness . Only 30 minutes for a full body workout. I want to bring all my friends so they can try out the class too. What a great place for children to learn karate. My son has been coming for 1 year and loves it. Leading edge has been wonderful. My son has been going to karate for 1 year, Sensei Joe is Great with the kids!! My daughter absolutely loved Sensei Joe and his staff. Loved to see the kids having fun with the arts! I'm so impressed with sensei Rob and the teachers. They get to know all the kids. They really care about them. My 5 year old absolutely loves it. He has learned so much in just 4 months. Truly great place. This studio has had a major positive impact on me. It has helped me grow as a student and a person. LEMA is an amazing place and a great environment to learn in! The instructors are so helpful and the other students make learning there so fun! You really do become part of a family and have an awesome time every day! Everyone knows how it was to become a white belt for the first time, scary, but ultimately worth it in the long run. Not only do the lessons they teach you in class apply to your daily life, learning martial arts at LEMA helps you become a better person off the mat too. The Women's Self Defense Class was Amazing-Every woman NEEDS to take it!!! Shout out to Sensei Rob for keeping our community safe. My granddaughter studied at another school in the Lehigh Valley, and they were very good, but when they had to switch to this one due to moving, the difference was obvious. Very disciplined, but the kids love the teachers because there is a lot of love given to them, too. The classes are more organized, the kids learn to pay better attention, and the pricing is excellent, too. I really like the teachers. I've been teaching for 43 years and I know a good teacher when I see one. Highly recommend this school. I'm an adult student at LEMA and I find it so energizing! Perfect combination of fitness, technique and inspiration. I always leave class feeling confident and determined to make the most of every day. Karate class membership also allows you to take optional cage fitness classes in the front of the bldg. Sensei, Deshi, Joshu, and Sempai are all fantastic instructors. Worth every penny. My 6 year old son has taken 10 classes so far and he is showing such enthusiasm and drive. I am quite impressed with Sensei Rob and his whole staff. The dojo is top notch and the equipment is great. I can't give a higher recommendation. My daughter loved going to to practice! She was always excited to go and learn more and work with the great teachers! We recommend this place to anyone even slightly interested in martial arts...you will learn to love it!! Sensei-Rob Wetmore you are such a talented instructor. Thank you for sharing your expertise on self defense with my Realtor family. Your demonstrations are on point, and your delivery is a unique blend of seriousness and humor. I highly recommend your school to everyone looking to learn martial arts. I also HIGHLY suggest everyone utilize your free self defense workshop. I learned so much. On a personal note, I am very happy to have my son join the LEMA family in Bethlehem. He could not have chosen a better school. Thank you. Thank you. Thank you. The instructor is great! My daughter loves him super personable! Sense Joe is an amazing teacher. He makes the class fun and very interesting..
Top notch! All children and adults should be involved in. We are losing our functional movements with the likes of video games, loss of gym classes in schools, media etc.... I understand the importance of specific movements being a Clinical Exercise Physiologist. Sensei Joe and his staff have a fantastic routine in place that keep the kids/adults involved. If your child/children want to have fun while earning I recommend LEMA! A mix of all different areas of MMA. Got my child involved due to autism, and ADHD sometimes its a fight to get there but by the end of class always smiling. Instructors are great take there time to instruct the child, very friendly answer questions immediately. Very pleased with there services. Such a great place. Very clean and a super friendly staff. I would highly recommend classes at this studio! Went to a very informative free self defense class. I would go again and recommend to my friends. Went for a women's self defense class. The class was awesome, the instructor was easy to understand and fun. I would definitely be back. Thank you! I have been nothing but impressed with LEMA and it's staff. Sensei Rob is the best! The staff is great and friendly. Kids are always happy, and being their as both a fitness instructor and a prior student, it's definitely a place where you don't have to worry about feeling awkward about stepping in. You will enjoy any class experience you go in looking for; the fitness program is my favorite! Leading edge martial arts is the best they really do such a fine job with their students . I am proud that my grandson has the opportunity to go their and learn. Love leading edge martial arts. Has tough me so much thank you sensei Joe for helping me get to black belt and for putting me on the right path to being kind to everyone. Awesome staff & great building up the kids & adults confidence & skills. Nothing is given everything is earned! LEMA is a second home for us. Everyone is wonderful. The teaching is excellent and there are many fun activities throughout the year. Glad we found them! Very well organized and well structured-- while incorporating new and fun events (usually for great causes too). The place is always clean, and the staff is always friendly and professional. Having an app to keep up with schedule changes and events is a big plus, too! When I first came to LEMA to watch my grandson, I was impressed with Sensei Rob and his staff. They are the right mix of patience, fun, and firmness in teaching the kids. I was so impressed I decided to renew my own study after 30 plus years. Best martial arts school on the east coast. 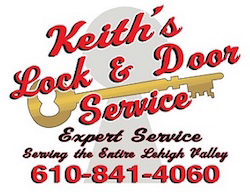 Two locations, Allentown and Bethlehem. Family oriented, many extra events for the children and families, and top level trainers. I highly recommend this martial arts school as I have trained here for 4 1/2 years and have earned my first degree black belt. Still train occasionally today. My child has been taking martial arts at LEMA for almost 2 years and I have been very impressed with what he has learned and accomplished as well as how well run the program is. The schedule is incredibly flexible and easy to adjust around other activities your child may be in. They focus on martial arts but mix in real life lessons (bullying, strangers, respect, ect) During the classes the kids are expected to be disciplined and listen to instructions. They do "extra" activities such as light sabor training, board breaking and even a movie night that give the kids a chance to interact with the instructors in a more laid back setting. It really is a good mix of structure and fun. My son has been training with Leading Edge, for almost 9 years. 4 1/2 of those as a Jr. Black belt. We tried out several Martial Arts schools and none of them compared. The amount of respect shown to this art, at this facility, is hands down, the BEST in the Lehigh Valley. Our son, originally began martial arts because, his occupational therapist suggested it, for his core strength. He has gained so much more than that, in the past almost 9 years. The amount of self discipline, respect, and confidence he has has gained from his training is remarkable. I would HIGHLY recommend this school to anyone looking for a Martial Arts school. Thank you, Leading Edge Martial Arts, for instilling such great values within my son. My son has been training at LEMA for close to 3 1/2 years he started at age 7. His Focus, Confidence and Self disipline have all increased. Sensei Rob understands what children need. He keeps his students motivated and focused in class with his teaching skills. He can be tuff on them at times not in a demeaning manor but to push them to their full potential. He believes in his students and wants them all to succeed. I highly recommend Leading Edge. Great place to learn discipline and the principles of martial arts! ???????? Leading Edge Martial Arts, came highly recommended from a friend of mine who has worked with the instructors as well as Sensei Rob, in different venues in the community. I was told that they were great with the children and really took the time to encourage them and help them with self discipline and focus. As a father, of a son with 2 diagnosis, I must admit at first I was slightly concerned that he was going to be a distraction in the classes. Let me tell you that the recommendation was nothing short of being spot on! Sensei Rob has worked with my son for over a year now. Josiah has worked his way to a green belt and has become more disciplined and focused. A few times my son wanted to give up because he was frustrated. All the instructors, would always take extra time with him to help him along the way. They have been nothing short of a miracle. I am forever grateful for the time and effort they have put into helping my son achieve his goals. I highly recommend Leading Edge to all my Friends now because I Have seen them work with many students over these Last 16 months now. For a person who has been through a lot this place is very healthy for both self confidence and self motivation .... the instructors are all very helpful for both adults and children all ages .... this is a place I would highly recommend to all families !! Leading Edge Martial Arts is amazing. I would recommend for anyone who has children interested in Martial Arts or adults who themselves are interested. They not only teach you martial arts but to believe in yourself and your abilities!!! Sensei Rob along with the other staff members are very passionate and work to instill self confidence and pride!!! They are family oriented and maintain a safe environment for learning. Job well done. All the instructors are great. Facility is clean, very clean (which is huge - especially with bare feet) and getting down on the mat. Lots of other activities to keep the kids engaged in the community and do some good (re: donations for military, Halloween parades, kicks for cancer). Our experience has been positive. If you are considering, I'd recommend giving it a try. Just be mindful that Karate does require time and practice. It wouldn't be fair if your enrolled your child and didn't put the time in for them to be successful. Best decision I made for my son was enrolling him at LEMA. Staff is very professional, firm yet compassionate. My sons self esteem, focus self discipline and respect for others has increased tremendously. They do a great job and really care about the students. Leading Edge came to a conference I was at. Very informative but also made it fun for everyone. After leaving i felt a little more confident know what I was shown/taught Thank you for the class! Wish I lived closer! My grandson is learning self confidence and self control! LEMA is a great place! Free self defense class for women last night was amazing! 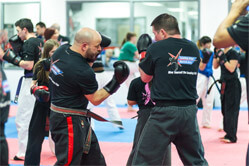 I have experienced a few classes at Leading Edge Martial Arts of Allentown. When I want to burn some calories but don’t want to have to workout all night I get a cage fitness class. It’s also great when you have had a bad day and just need to punch something. I also have attended the very important class for ALL women and kids to take the FREE women’s defense class. Sensei Rob gives a very informative class where he teaches you many life saving moves. He also makes it light with his humor. I would highly recommend parents to sign their kids up for martial arts classes for self defense, because we just live in an age where ever child needs to be able to defend and protect themselves ! My 7 year old granddaughter attends karate classes 2/3 times a week here. The people that work here are professional, humorous, hard-working and excellent teachers. 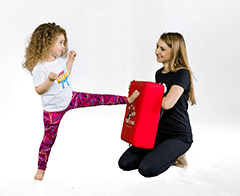 I recommend Leading Edge to anyone with young children who they like to teach discipline, fun, and self-defense at the same time. Fantastic!!!!!!! Clean, organized, unbelievable staff. My family is brand new and I already feel like we belong ! LEMA has been fantastic for two of my kids. Sensei Rob and the rest of the staff are great with the kids. They teach wonderful skills about confidence, self-discipline, and self-defense. It has been a lot of fun for my kids, great exercise, and also they are learning invaluable life lessons in the process. I would definitely recommend LEMA! We are very happy with LEMA-Allentown. Sensei Rob and his staff are very passionate about what they are teaching: self-respect, self-discipline, self-confidence--some of the tools that help children become productive citizens. Martial arts is a discipline, requiring hard work and dedication, but both parent and child will ultimately reap the rewards. My son has been attending for almost 3 years and the first time he "graduated" we witnessed what was truly inspiring: the abilities of each and every child's rank and their progress throughout their time there. Sensei Rob and his staff make it fun to learn and are willing to help anytime a child needs it. Would definitely recommend LEMA to anyone! Thanks for all that you do! Had the best time at the self-defense class. Everyone was very professional and helpful. My 11 year-old also loved it and learned a lot. LEMA first off has an Excellent staff. The classes are hard work, but fun. If you are looking for something to put you in the moment, make you work hard, and still have fun, LEMA is the place to be. LEMA is a great place for my two kids to learn how to protect, discipline themselves and to be respectful and helpful to others. The kids learn valuable skills at LEMA. Sensei Rob, Deshi Bart and the staffs are excellent and care about the kids. Thank you. Leading Edge is has an awesome studio and the owner is so welcoming. We really love this place and what it gives back to community. My son loves going to karate! His focus and listening skills have improved and overall has a much better attitude. My son loves his classes at LEMA. Especially, during light saber training! Sensei Wetmore is an excellent martial artist and a fine mentor. I would highly recommend his schools. My son started at LEMA a few months before his 6th birthday. Aside from staying in shape and learning how to defend himself, Sensei Joe has taught him confidence, respect, and numerous other invaluable qualities. Sensei is SENSEITIONAL with these children! If you are considering classes, this is the place to be. So far so good. Sensei Joe and Luis are great with the kids. Making it fun for them to learn. They aren't there just for the training! I'VE SEEN A MAJOR CHANGE IN MY DAUGHTER ALREADY.